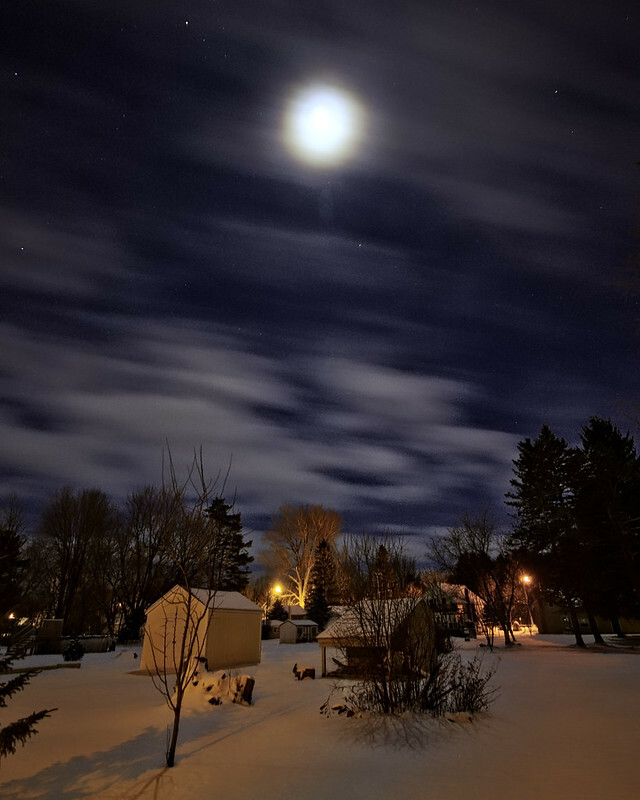 Stark winter nights, the kind with a handful of clouds and a lot of bright stars, seem to be when I spend the most time shoveling my driveway. Might as well do a long exposure or two while I work, right? I particularly like the tree in the center of the image that has been completely lit by the adjacent streetlight: it seems otherworldly and special when compared to the other silhouetted trees. Shoveling isn’t so bad when I get views like this! That is definitely a positive attitude. I had a small tractor with a blade but when we got over a foot at a time I’d rely on the neighbor who had a Bob Cat. He’d clear our 60 foot uphill driveway in a hurry. I tried to do it with the small tractor before the road plow came and shoved the ice and snow from the road into the driveway. As you know Central New York had 6 months of winter.